Sign up and receive Property Email Alerts of Farms for sale in Clewer, Witbank. This well maintained plot offers you 5 bedrooms - with built in cupboards, 2 bathrooms, lounge, dining area and spacious kitchen. Outside rooms and spacious yard for grazing for livestock. Is currently being used as an orphanage. If you want to start your own business consider to view this lovely plot at an affordable price. Contact Vusi for a viewing. Situated in Clewer, Mpumalanga area, close to schools and shopping centres as well as easy access to main routes and public transportation. 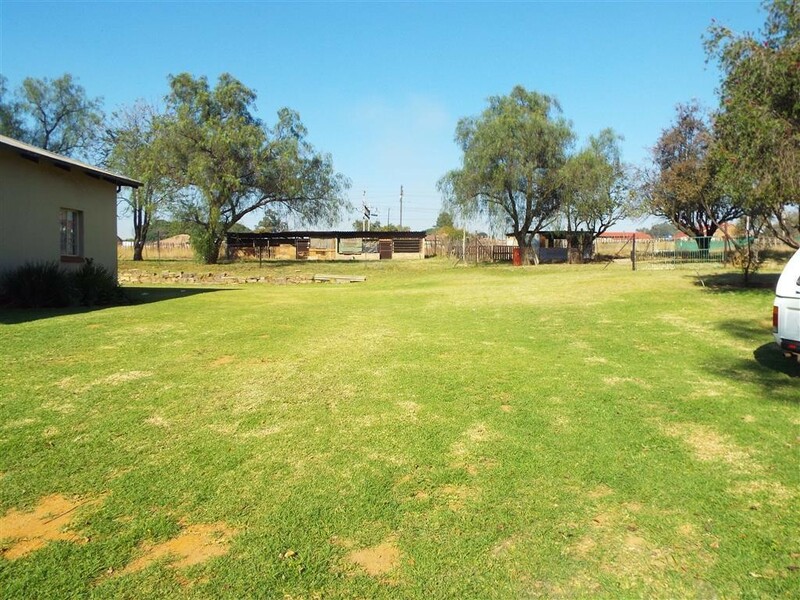 Sign-up and receive Property Email Alerts of Farms for sale in Clewer, Witbank.